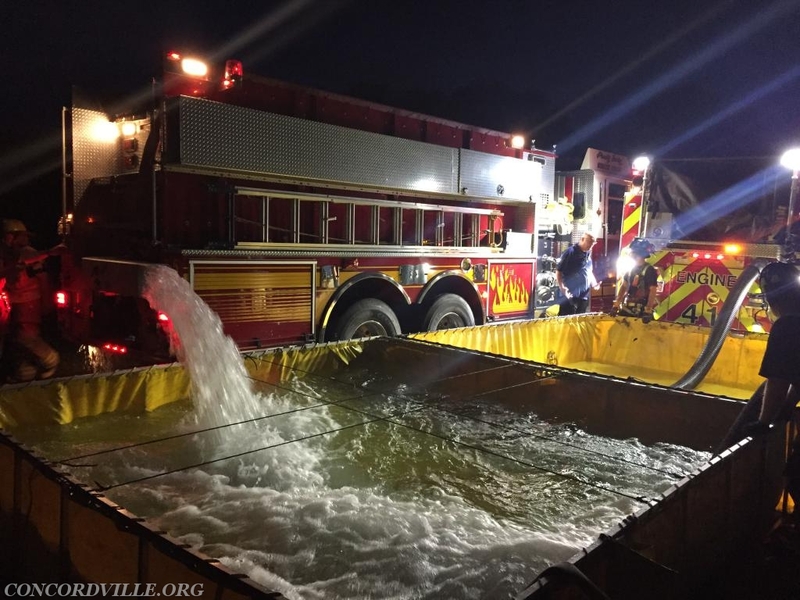 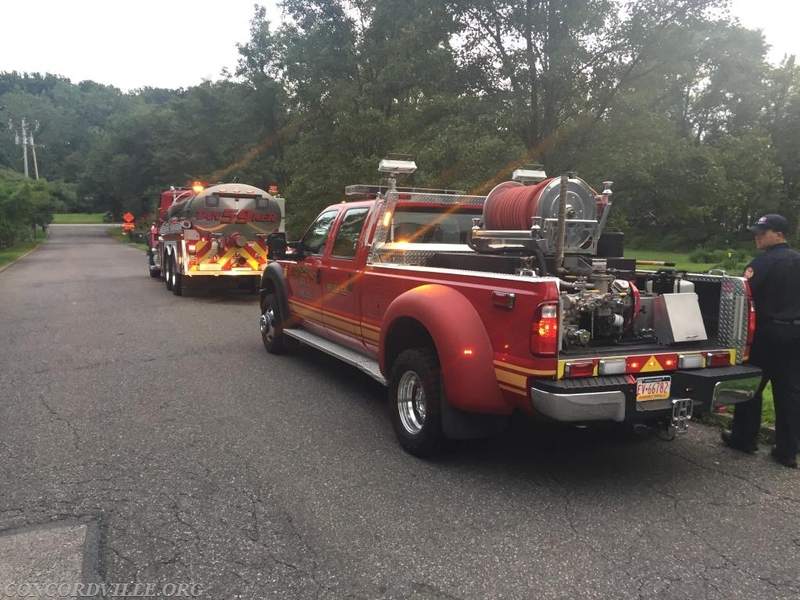 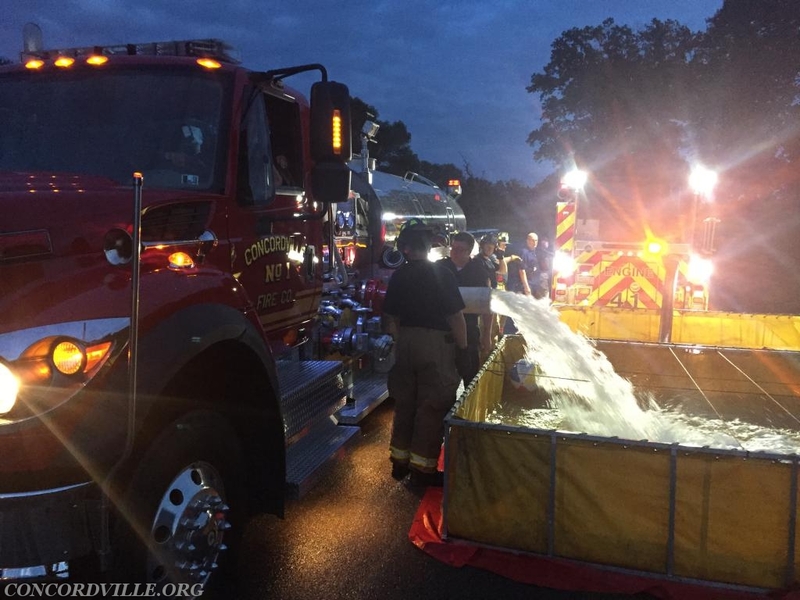 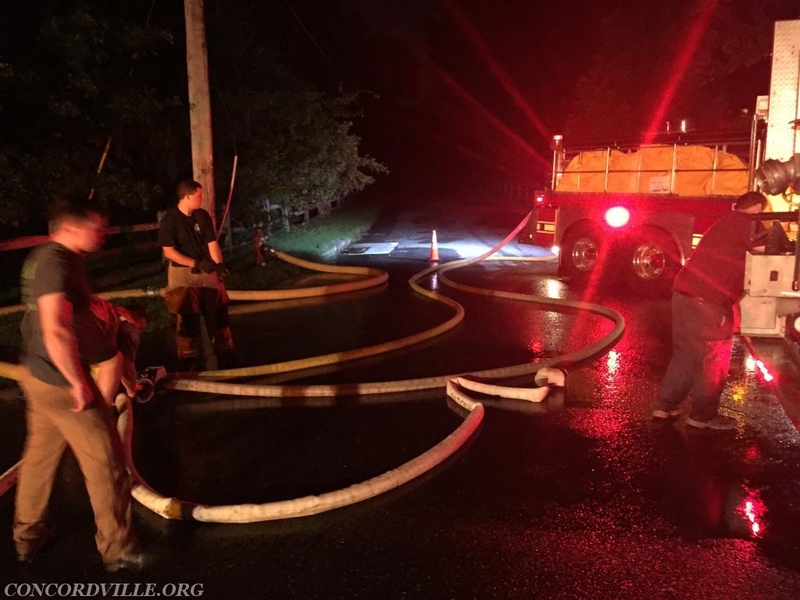 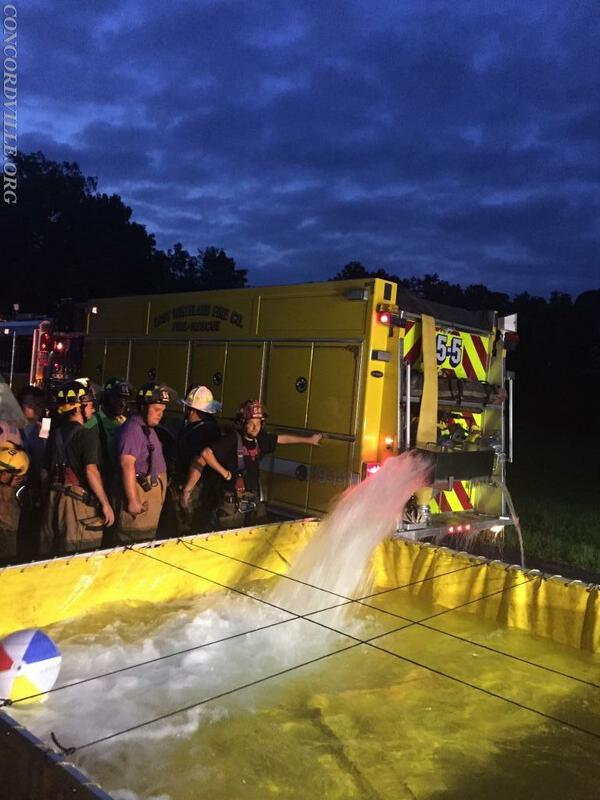 On Monday August 20th Tanker 59 participated in a water supply exercise coordinated by Newtown Square Fire Company. 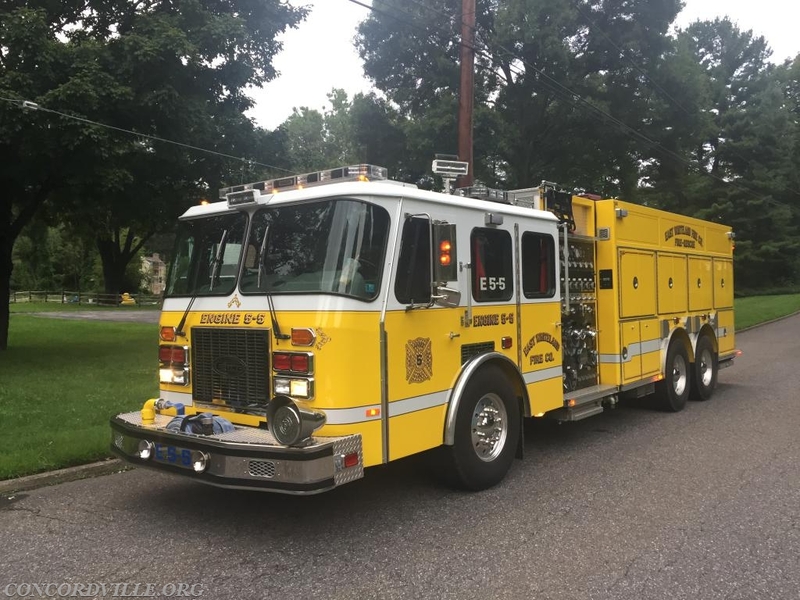 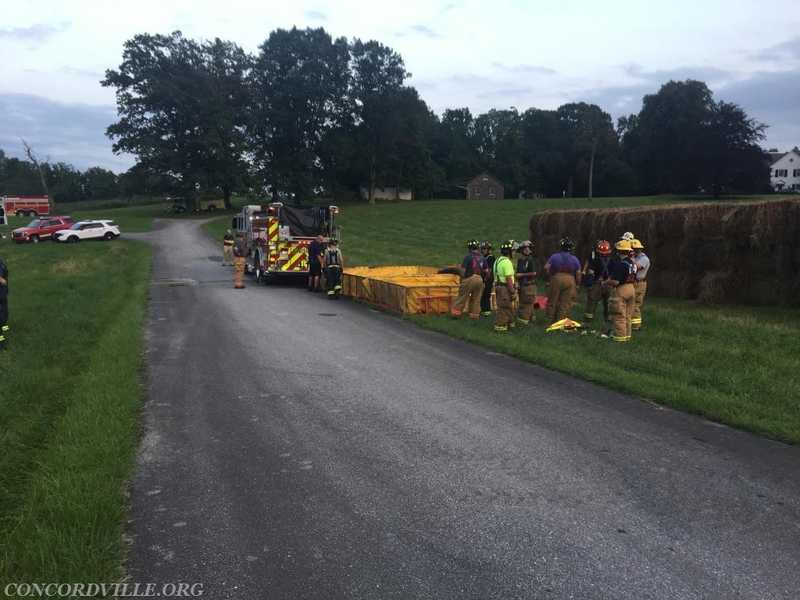 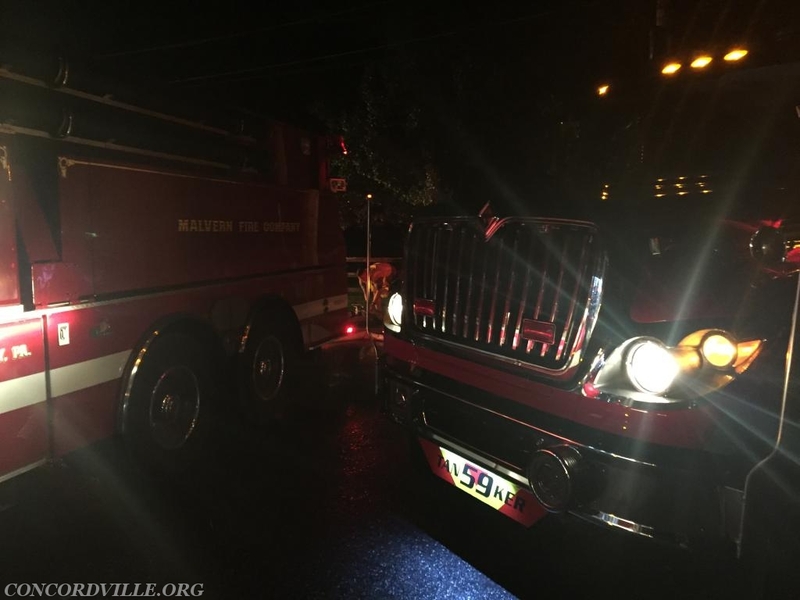 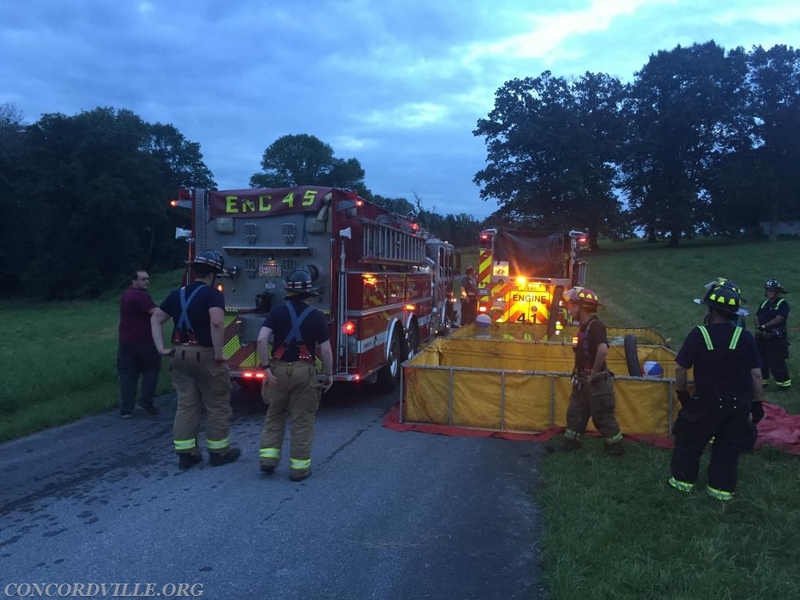 Tanker 59, along with Brush 59 and additional manpower, joined in the exercise with Pumper Tankers from Paoli, Malvern and East Whiteland Fire Companies. 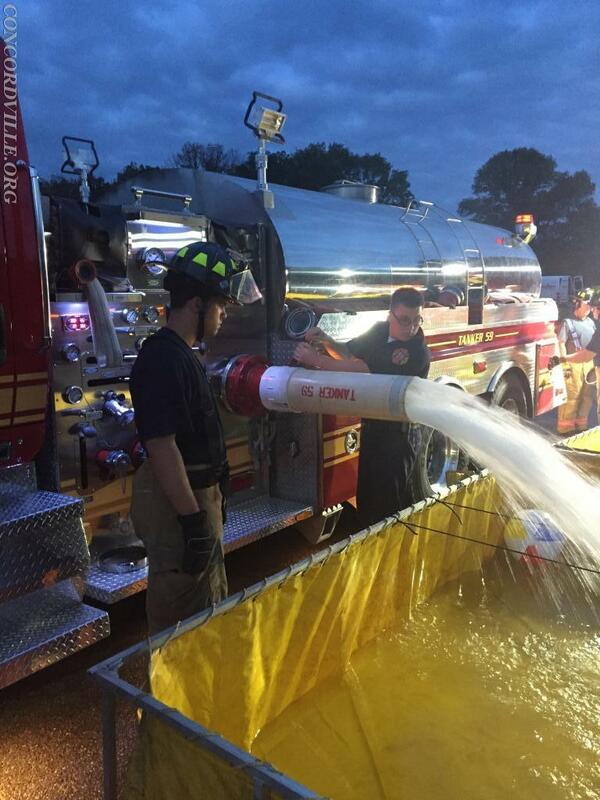 Crews drilled at the fill site, tanker shuttle and at the dump site. 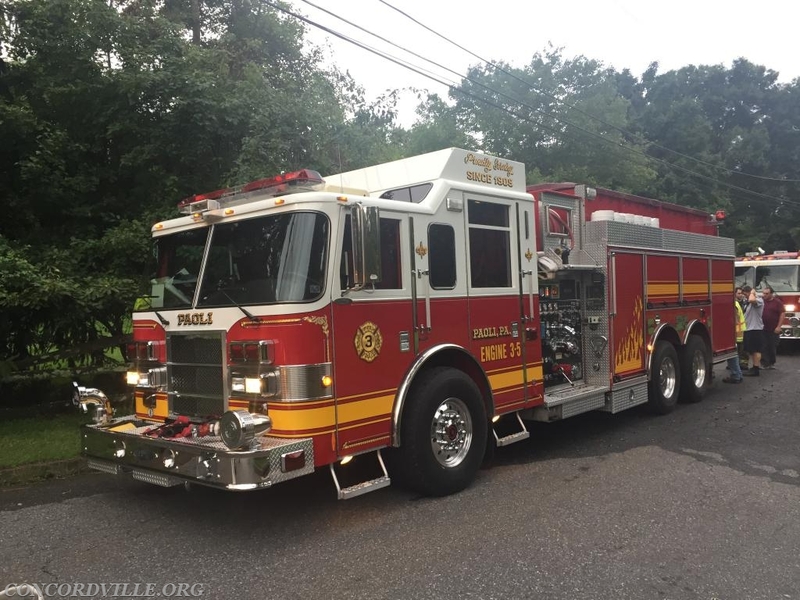 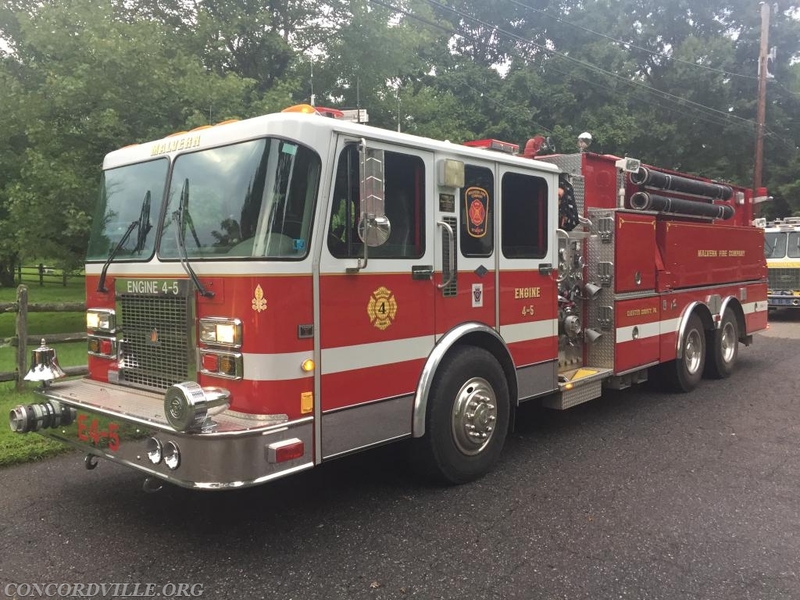 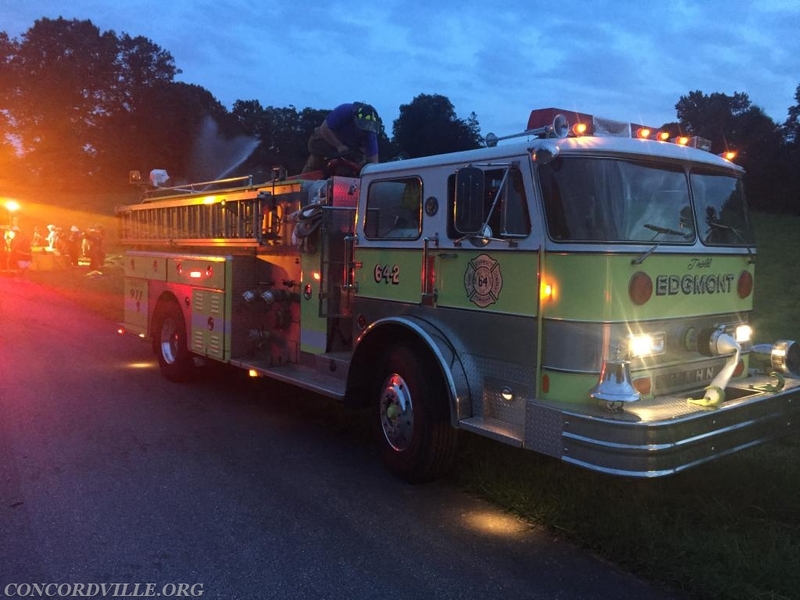 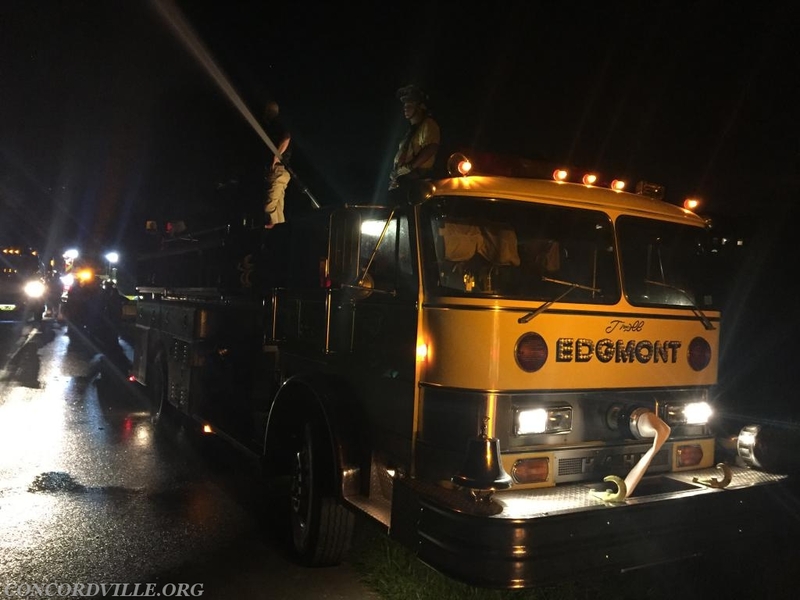 The tankers dumped water into fold a tanks (collection tanks), as Engine 41 drafted the water out and then supplied hand lines and the deck gun on Edgmont's Engine 64-2 to simulate fireground operations. 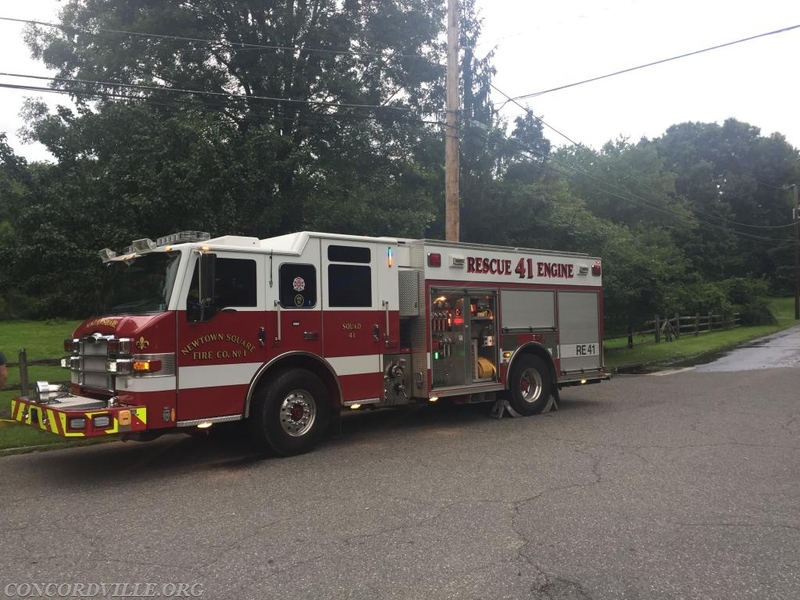 Thank you to Company 41 for the invitation. 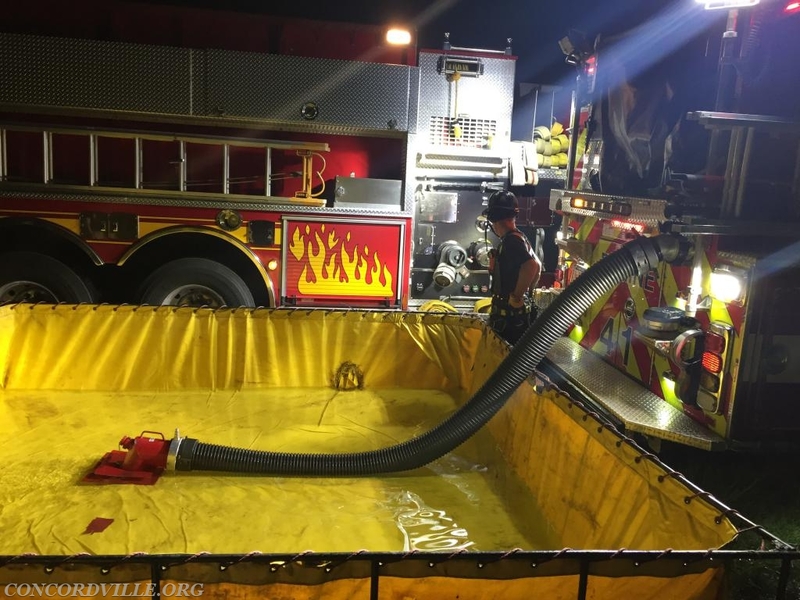 We always welcome the opportunity to practice fire operations and water supply, especially with local fire companies that we don't frequently work with. 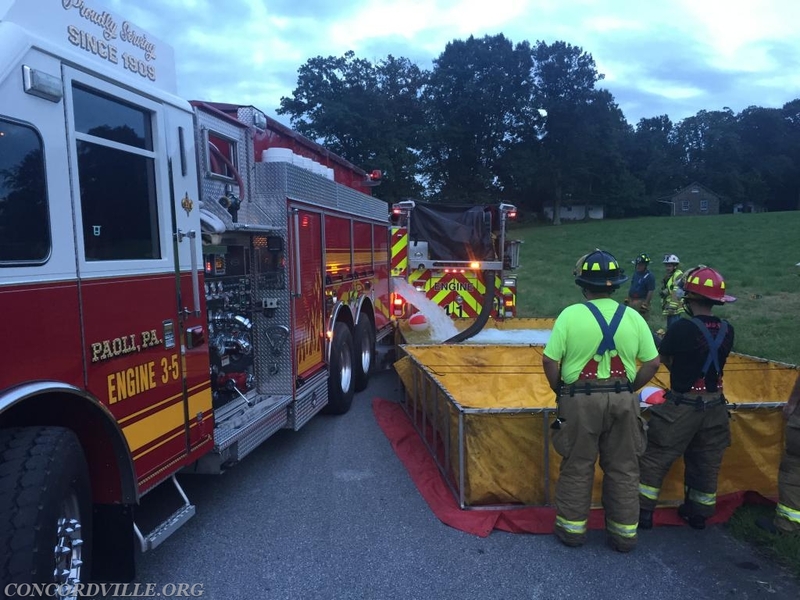 It was a great training exercise and will help us prepare for for incidents in Newtown Square's local.